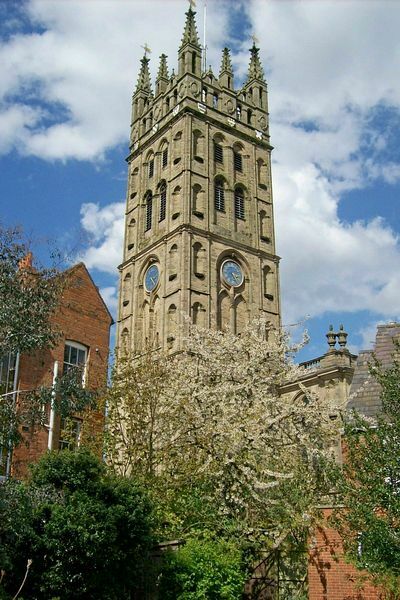 The most prominent architectural feature in Warwick, and for many miles around, the Collegiate Parish Church of St Mary is a building of great beauty and significance. 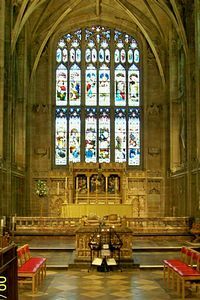 Given his highest 5 star rating by Simon Jenkins in "England's 1000 best churches" it attracts visitors from all over the world. The remarkable Beauchamp Chapel, described as "the most lavish family burial chapel in England", houses the tomb of Richard Beauchamp - one of the richest and most powerful people in English history. 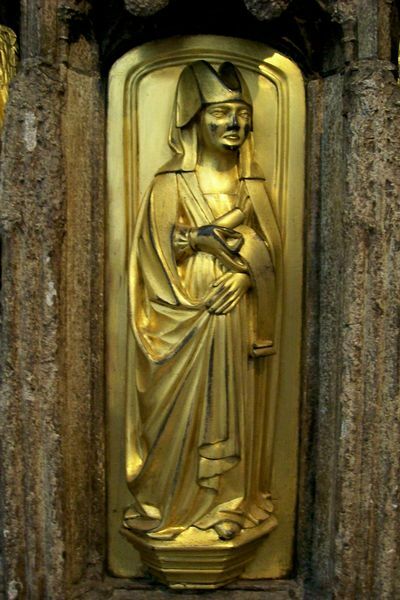 Simon Jenkins call his tomb "one of the masterpieces of medieval art". is notable for its unusual and elegant vaulting of flying ribs, one of the finest examples on this scale in England. 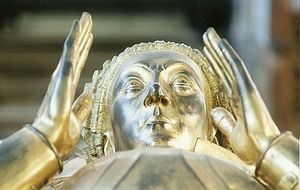 The alabaster tomb of Thomas Beauchamp and his wife Katherine Mortimer in the Chancel is notable for the figures around the base which give a fine and varied depiction of 14th Century English fashion, and are much perused by students of that subject. In the Chapter House is the mysterious monument to Fulke Greville, poet and statesman, who was murdered by his servant in 1628; his claim to be the "Master of Shakespeare" has led to speculation that he may be the real author of the works of Shakespeare. The imposing Nave and Tower were rebuilt around 1700 following the Great Fire of Warwick, apparently drawing on the advice of Sir Christopher Wren, architect of St Paul's Cathedral, London. A climb of 134 steps to the top of the Tower gives fine views of the surrounding area, and looks down upon the Castle. 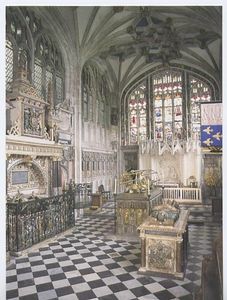 The Chapel of the Royal Warwickshire Regiment attracts many military and family historians, and displays the garter banner of Field Marshall Viscount Montgomery. 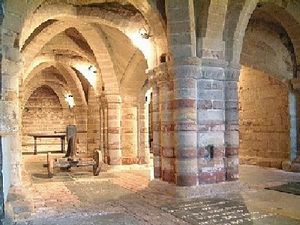 The Norman Crypt is the oldest part of the Church, dating from 1123; it houses a rare example of a medieval ducking stool. Memorial stones and medieval grave covers abound on the floor, and one chamber has been reserved since the 18th Century as the burial vault of the Earls of Warwick. Another chamber, used as a mausoleum in the 17th Century, has been sealed. 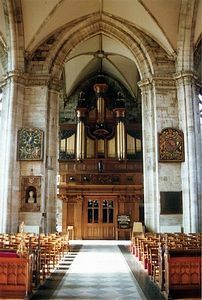 St Mary's has had a strong musical tradition from its inception, and its choir has earned a worldwide reputation through its television and radio broadcasts, and visits to Europe and America. St Mary's currently boasts a choir of boys and men, a girls' choir, a chamber choir (St Mary's Scholars), and a Parish choir (Collegium). 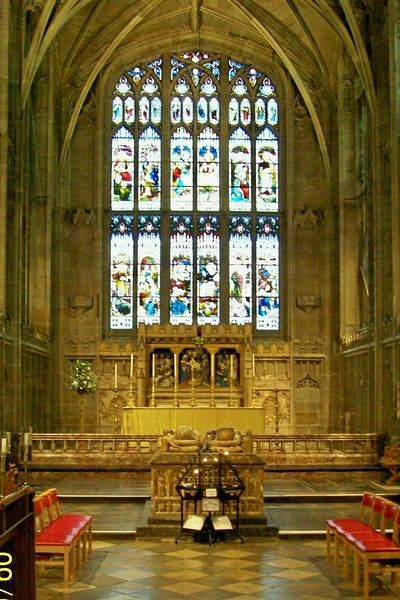 Visitors should not miss the chance to attend Evensong on most Wednesdays and Fridays at 5.30pm. St Mary's is an important venue for musical events throughout the year, and particularly during the Warwick Music Festival. St Mary's is in the centre of Warwick, in Old Square. Buses stop nearby, and the railway station is about ten minutes walk away.